X4 FOUNDATIONS, the long awaited sequel in the successful X series, brings…. 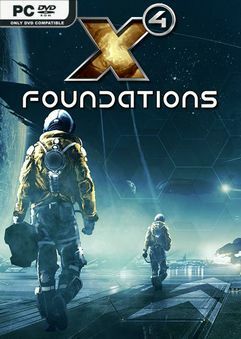 X4 FOUNDATIONS, the long awaited sequel in the successful X series, brings our most sophisticated universe SIMULATION ever. Fly every ship, EXPLORE space or manage an empire; TRADE, FIGHT, BUILD and THINK carefully, while you embark on an epic journey.